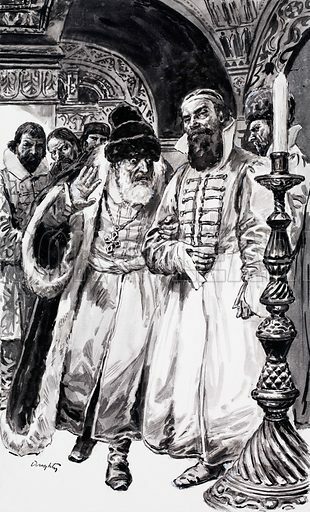 Ivan the Terrible befriended the ambitious young man at court, Boris Godunov, much to the dismay of the other courtiers. Original artwork for illustration on p7 of L&L no.525 (5 February 1972). Available worldwide for immediate download up to 3,111 x 5,143 pixels.